The Undiluted Scotland website is all about the world famous Malt Whisky Trail in Scotland, if you have a fascination about Scotland, the great open countryside, the highlands and island plus enjoy a dram of whisky, then this is the walk for you. 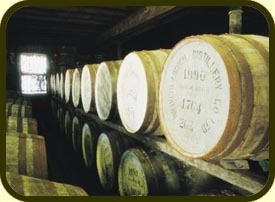 You can explore the Speyside way in its finest form, witnessing the beautiful Scottish hills which spread from Aviemore to Buckie, at the same time visiting the most famous of Scottish whisky distilleries, which are perfectly positioned along the walk following a well marked route with signs and markers to guide the way on your search for the perfect “water of Life”. There are also many accomodation options along the Speyside Way from luxury Grantown on Spey hotels to Aviemore bunkhouses. 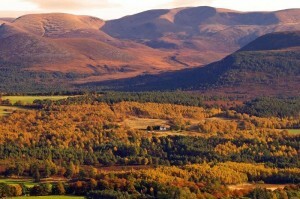 The Cairngorms area is famously welcoming to travellers and tourists. Speyside houses many of Scotland’s well known single malt whisky distilleries and even for the most ardent teetotaller this walk is full of interest and the behind the walls tour will open your mind into how the local community and alcohol work together in providing a drink that is world renowned. The walking tour can be divided into 5, 6 or 7 days depending on how fit your are, I personally have done the 7 day tour, which roughly meant I was walking 6-7 hours per day, but comfortably. There is so much to see and nothing better than stopping off for lunch at a distillery which is strategically positioned along the route to refuel. The actual terrain for walking is mostly on small country roads and old cattle paths, nothing too arduous, and there are sufficient possibilities for accommodation in many of the small Scottish villages you will find yourself passing through. The walk itself starts at Buckie in the north of Scotland and finishes 80 miles further south at Aviemore near the base of the Cairngorm Mountains, it mostly follows the Spey River which flows from the Moray Firth into the middle of Scotland’s Whisky country. During your journey you will walk through and be part of probably the most untouched and quietest parts of Scotland plus being sheltered by the fantastic mountain range of the Cairngorms. If you are Scottish or are coming to Scotland on holiday then I would totally recommend this walk so as to witness all that Scotland has to offer such as beautiful romantic castles, the Cairngorm national park and most importantly visiting the world famous Glenlivet and Glenfiddich distilleries, remembering there are many more smaller specialised malt experts along the route in 7 days of easy walking. For example Edradour distillery, which classes it’s self as the smallest producer in Scotland and onto Dalwhinnie distillery which is based in the Cairngorms, the heart of Scotland, renowned to be the highest positioned in Scotland at a respectable 1164 feet above sea level.